June 2016 - Build the Brand. Protect the Brand. Experience is what you get when working with R&R Partners to prevent underage drinking—and a lot of it. Since 2006, R&R Partners has worked with the Utah Department of Alcoholic Beverage Control (DABC) to eliminate underage drinking in Utah, a state that historically has the lowest underage drinking rates in the country. But, with the help of R&R Partners, Utah has found a way to further reduce the underage drinking numbers at a rate faster than the national trend. With the evidence-based advertising and communications of R&R Partners, Utah’s efforts have been incredibly successful, building not only the premier prevention program in Utah (Parents Empowered), but arguably the foremost underage drinking prevention program in the nation. In fact, 1 in 5 states has adopted Parents Empowered media materials or strategies to combat underage drinking. So how does a state with such low underage drinking rates continue to push down the numbers? Below, we share a few of the secrets behind R&R Partners’ nationally recognized Parents Empowered program. As such, R&R understood the need to communicate the harms of underage drinking to parents, who may or may not see the associated risks. For some, drinking is the least harmful substance their child could use, and it may be considered a rite of passage, or even innocent experimentation. And while less than 10 percent of parents say they “agree” that it is OK if their child drinks alcohol sometimes, almost a third of parents feel there is very little they can do to prevent their kids from trying alcohol, and almost two-thirds believe their kids have never tried alcohol at all. (2015 Partnership Attitude Tracking Study, April 2015) We leverage these findings, creating messages that empower Utah parents with the knowledge that they can affect their child’s decisions and their likelihood of experimenting with alcohol. Now, R&R is very proud of the public service messages/advertisements created for Parents Empowered, as well as the national and state recognition, we’re more excited that the advertisements created to prevent underage drinking are effectively motivating parents to set clear rules against underage drinking. R&R is very proud of their work on Parents Empowered, as the work is both impressive and successful, but even more significant is the continual decrease in underage drinking across Utah over the past decade. Across Utah, R&R has been incredibly successful in educating parents/guardians about the consequences of early alcohol use and teaching parents the most effective researched-based behaviors proven to help kids grow up alcohol-free—bonding, boundaries and monitoring. Research shows that close to 90 percent of Utah parents now view themselves as the person primarily responsible for their children’s decision whether to drink or not—this is fantastic news. Additionally, underage drinking in Utah has steadily declined since the state began working with R&R Partners, and more parents now report setting clear rules and expectations to keep their kids alcohol-free. R&R Partners’ promise to the Utah Department of Alcoholic Beverage Control—and to every client—is simple, “We will help you win in ways you haven’t yet imagined.” Providing creative, measurable and effective solutions is what we do best. Parents Empowered continues to receive a steady stream of new, unique, effective ideas that raise awareness among parents of the harms related to underage drinking and what parents can do to prevent it. As a general rule of thumb, innovation isn’t R&R’s primary measure of success—it’s efficacy. Aiming to be extremely innovative doesn’t always lead to effective solutions in social cause marketing, whereas aiming to be extremely effective almost always results in innovation. The efficacy and innovation of R&R’s work on Parents Empowered has twice won the “Mothers Against Drunk Driving (MADD) Media Award for Outstanding Community Awareness Campaign,” and has been recognized as a Prevention Best Practice by Service to Science, with additional recognition from the National Association of State Alcohol and Drug Abuse Directors (NASADAD) for Innovation in Prevention. To build a campaign that is both innovative and effective, R&R knew research-based messaging needed to serve as the campaign’s foundation. Since the inception of Parents Empowered, R&R has helped to lead the campaign strategy by grounding all message recommendations in academic research and proven prevention practices. R&R’s past 10 years’ experience working directly with national and state prevention networks, and leveraging federal prevention best practices, has prepared us to motivate long-term sustainable change among key audiences, but also positions us to evolve the campaign using new trends and target audience insight. For example, we capitalized on research-driven messaging in the development of the “Halo” ad that addressed parents’ mistaken perception that their child is immune from underage drinking. Halo delivered the message to parents that even good kids need help to remain alcohol-free. More recently, the “Bobble head” broadcast message was developed in response to new research that identified a disconnect between fathers and mothers (especially in single-parent homes) who may not have the same attitudes about alcohol and underage drinking, and often don’t share the same rules and boundaries to keep kids alcohol-free. Many parents in research focus groups expressed the belief that underage drinking was dangerous, but felt their spouses may not feel the same way. This ad works to change the social norm and urge parents to agree on clear rules to prevent underage drinking. Not only does R&R Partners have more than 10 years of success working on underage drinking prevention, but it has truly become the agency’s way of thinking—it is now our approach to our business and our way to give back to our communities. It is no surprise that more than a dozen states have solicited the help of R&R Partners to address public health and safety issues and change social norms. Just as the Utah DABC and other community partners feel ownership in efforts to improve the health and safety of their communities, so does R&R Partners. We believe in the need to be socially responsible, helping to improve the communities where we live. The social causes we back are as much our passion as our clients’. We’re committed to eliminating underage drinking with everything we have in our toolbox—strategic planning, advertising, digital marketing, mass media, nontraditional media, social media, public relations, and government and public affairs. And with all our expertise under one roof, we can, and will, continue to deliver powerful ideas and solutions for each social cause marketing campaign we build. We invite you to leverage R&R Partners’ passion and expertise to help launch your innovative and effective social cause marketing campaign. Your state is much more than a place to call home. It’s also a brand. A very important brand. This is one of the many things I learned at the Colorado Marketing Summit. After all, who doesn’t like the opportunity to get out of the office every once in a while and connect with like-minded marketers? 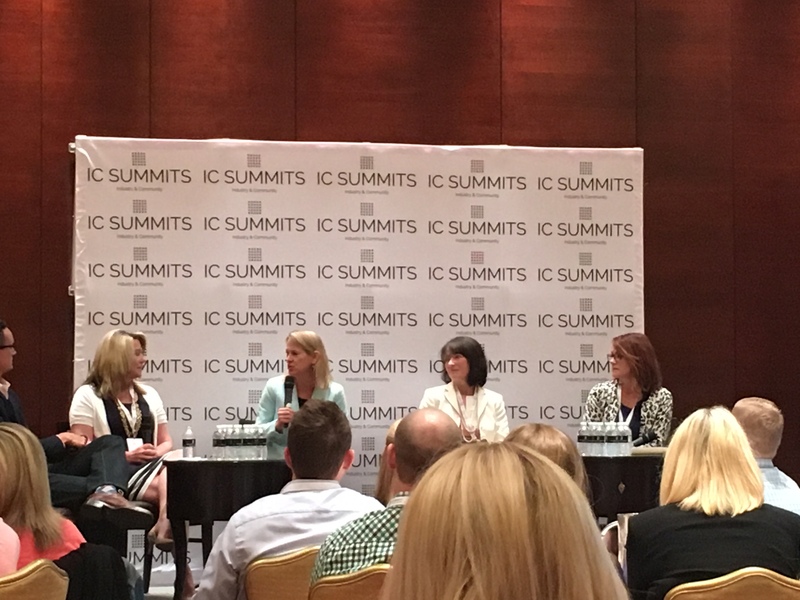 I just had that experience when I attended the summit at the Ritz-Carlton in downtown Denver. It was a gathering of marketing professionals, creative agencies, media technology experts and community leaders. 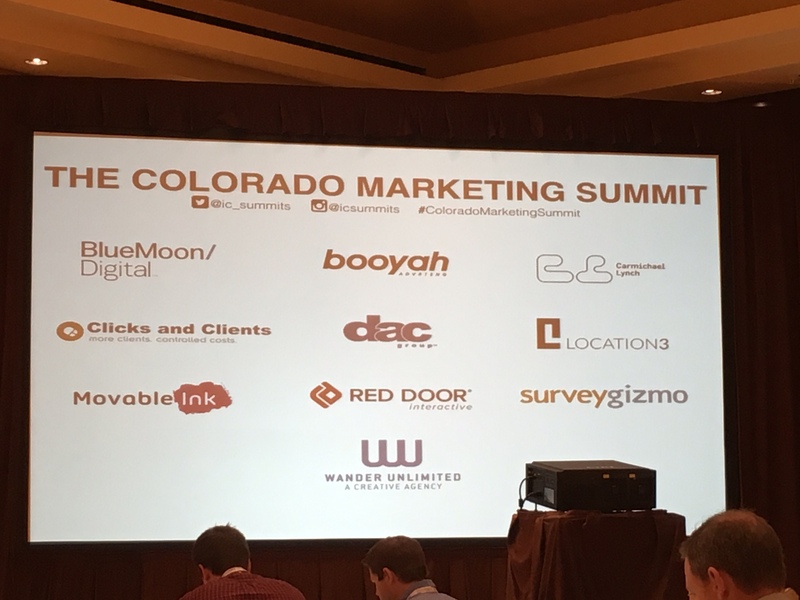 What was unique about this summit is that every company represented was based in Colorado. Some of the organizations that people will recognize include Western Union (an R&R Partners client), Arrow Electronics, Ball Corporation, UCHealth, MapQuest and HomeAdvisor. Those were rounded out with a few familiar folks in the food and beverage industry as well, including Smashburger, Qdoba, MAD Greens and WhiteWave Foods. The summit was structured into eight panels and you were able to hear all eight without having to choose which ones to attend. Topics included leveraging smart data, social media strategies, content marketing, optimizing customer experience, meaningful digital engagement and others. But the panel that stood out the most was called The Colorado Brand. Panel members included the chief marketing officer from the state of Colorado, the director of citywide marketing for the city and county of Denver, and the vice chancellor for strategic relations from the University of Colorado at Boulder. Impressive group − and all female. Girl power! It’s no secret that Colorado is a great place to live. It’s consistently ranked in “best places to live” articles, including this recent first-place rank in U.S. News. More people are moving to Colorado now than during the Gold Rush in the 1850s. The panel highlighted that the Colorado brand is an amazing combination of outdoor activities, progressive lifestyle, entrepreneurial opportunities and a diversified economy. Colorado consistently ranks as a top-performing economy and currently holds rank No. 1 on the Forbes Best Places for Business and Careers list. The panel also highlighted that Colorado offers a great balanced lifestyle where people can truly work hard and play hard. To many outsiders right now, Colorado stands for one thing: marijuana. With the recent passing of recreational marijuana distribution and use, the panel pointed out that the Colorado brand needs to remind folks about all the other things Colorado stands for. Of course, that conversation can shape the brand, but it is important that we as a state build the right stories about the brand: Stories about its outdoor amenities, its art scene, growing chef-led restaurants, and the economic and entrepreneurial opportunities. Colorado, as a brand, needs to continue reminding large companies why they need to do business here. In the 1980s, things were very different in Colorado. The town was mostly known for one industry: oil and gas; and there was the dreaded Brown Cloud pollution air-quality issue. Well, times have changed. A number of groups got together and created public/private partnerships to really change the future of Colorado and help diversify the industries. Brands start here and move here. There is a great, young, active workforce for these companies. Millennials are moving to Colorado in droves and that is changing the work ethic on a cultural level, but Colorado is embracing that change. There is a real understanding of having great pride and passion for work being done here, as well as equal balance with play time. One great benefit coming from this growth: new companies wanting to work with local agencies. This is a great opportunity for the R&R Denver office as we continue to build awareness and grow our footprint. We can be part of shaping the Colorado brand. CMV/R&R in Mexico City, one of R&R’s nine North American branches, has enjoyed recent success with new accounts. Gamma – Grupo Posadas, the newest hotel brand of the largest resort chain in Mexico, had a major challenge: Branding. But with the help of CMV/R&R, after two months of influencers helping position the brand and strategies for organic growth, the brand’s account interaction on social networks more than quadrupled. Another recent campaign for Kimberly-Clark brand Petalo was a different challenge entirely. CMV/R&R had to communicate the most important and basic characteristics of toilet paper to help this Kimberly-Clark brand resonate with Mexico consumers, particularly mothers. Petalo was positioned as everything a mother is to her children – Soft. Efficient. Resistant. The campaign, titled “In Everything, Just Like You,” speaks directly to the target audience: the women who want to give their families the best and most cost-efficient products. The TV spots went on air and were posted on YouTube in March, and have more than 2 million views, exceeding expectations and providing a strong campaign for Petalo. 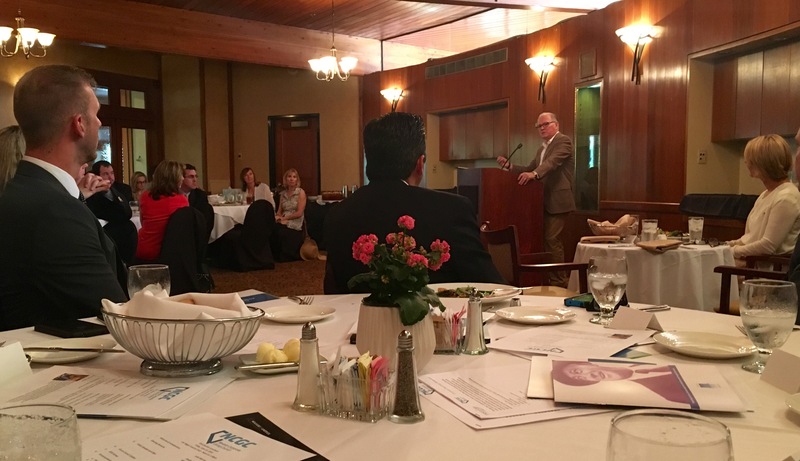 R&R Partners is a part of and attended a recent Nevada Corporate Giving Council. The renowned guest speaker, Edmund Cain from the Hilton Foundation said that CSR is no longer being looked at as social responsibility, but rather as corporate survival. All companies whether their size should do their part to impact society. Cain provided three helpful tips as it relates to prioritizing your corporate social responsibility programs: be respectful of the donor intent (ideally it’s for impact versus for cost of doing business); do the analytics (what are the pressing issues); how can your works be leveraged (with collaboration amongst other groups funding). Cain also touched on his recently published blog on why foundations should keep global sustainability issues top of mind. Cain complimented the work being done in Nevada, and gave a nod to much of Conrad Hilton’s successes stemming from his ownership days of the Las Vegas Hilton and Flamingo Hotel. For more information on the Nevada Corporate Giving Council’s annual philanthropy report, see recent BusinessPress article. Upon reflection after the event I attended, I thought about what CSR means to R&R, and it is at the heart of everything that we do—as an agency and for our clients. Before corporate social responsibility became essential to survival, we started the R&R Foundation, as we believe our employees and partners can come together for the greater good. Jim King, Chairman of the R&R Foundation says, “As R&R Partners as a global marketing agency is well-known for providing creative communications solutions to a broad spectrum of clients, we want our Foundation to be known for strengthening the communities we serve.” I believe that not only is this at the heart of our culture and in living our values, but part of the lifeblood of our agency. Oh, Snap! R&R launches new social account! 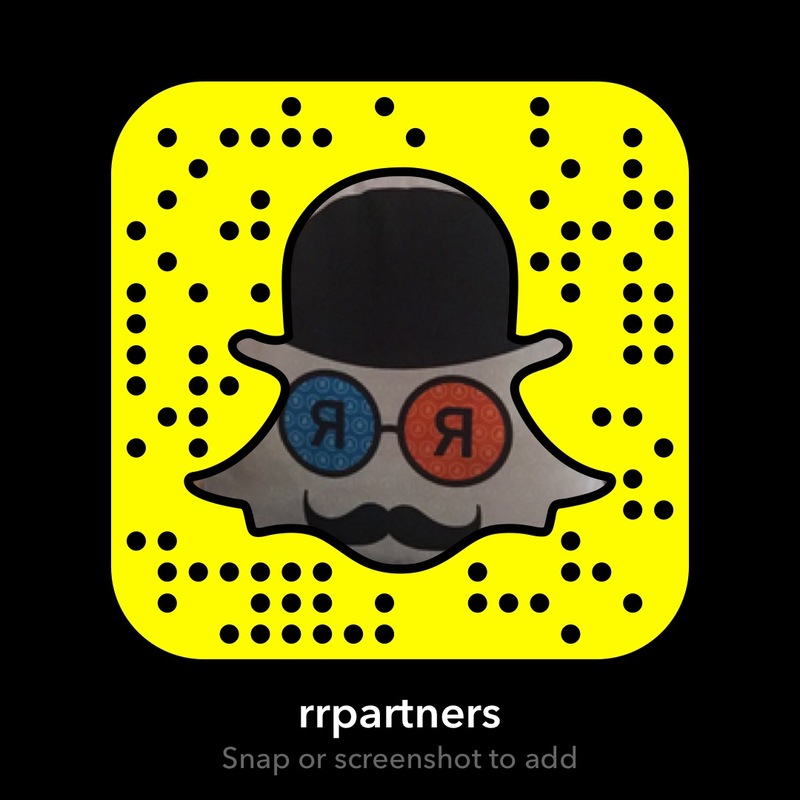 R&R Partners has joined Snapchat! Don’t be afraid of the ghost: This powerful storytelling platform is changing the social landscape and R&R is snapping at the chance to share our new account with you. Follow us at “rrpartners” as we highlight the people, culture and work that we produce in every department in each of our offices. How we win … and what we won. Saying we’re going to win for our clients, and ourselves, is easy. It’s the doing it part that’s hard. It takes talent, work, patience, perseverance, passion and a dogged refusal to settle for anything less. We win by being smart. We win by getting smarter. We win with ideas. We win with creativity. And we win with hard work. So far in 2016, we’ve done a lot and we’ve won a lot. Sometimes winning literally means winning. As in awards. This year, we’ve taken more than our share. Plus numerous other national awards (Appys, Travvys, etc.) for LVCVA and Boeing. The Evolution of Play arrived in Las Vegas in May with the grand opening of Topgolf’s flagship location at MGM Grand. Topgolf Las Vegas boasts an entertainment complex with four levels, 108 climate-controlled hitting bays, two pools, live entertainment, meeting space and the patented Topgolf game. R&R’s media efforts began in January with a recruitment plan to help it fill 850-plus positions. Using a multimedia strategy, the campaign helped generate thousands of applicants. The grand opening media strategy was designed to reach both Las Vegas locals and tourists. Select media channels launched in mid-May as the venue opened, but the full multimedia approach went into effect in June with several high-impact, premium placements. Paid social posts were instrumental in delivering Topgolf’s teaser videos. The campaign far exceeded some of Facebook’s key benchmarks, including cost-per-view, engagement and organic reach. Paid social media efforts will continue to be an integral part of the strategy as new content and assets become available – as evidenced by the celebrity traffic that it attracted during the recent Billboard Music Awards within days of its grand opening – Blake Shelton and Gwen Stefani, Drake, etc. In addition, the R&R team is already busy working on media support for Topgolf’s upcoming entertainment schedule to support ticket sales, as well as preparing to execute a visitor profile study via our strategy and insights team. The Utah Department of Highway Safety hired R&R Partners to promote a simple—and commonsense—message during the St. Patrick’s Day holiday. Over the last five years, there have been 23 alcohol-related crashes on St. Patrick’s Day, placing it among the top three deadliest holidays in Utah. The team at R&R Partners understood the need to create a behavior change among St. Patrick’s Day celebrators—seems like an easy task—but how does one take a decade-old message that nobody pays attention to anymore and re-say it in a way that changes behavior, especially during a holiday that has become synonymous with alcohol? On the evening of St. Patrick’s Day, R&R launched the latest DUI prevention campaign with the help of statewide law enforcement and strategic partnerships with local bars and taverns. Uniformed officers and local actors dressed as living statues of the Saints of Sobriety, including: St. Haylor of Cab, saint of wise travelers; St. Cristyl O’Clearhead, saint of responsible drinking; and St. Alweis the Appointed, saint of designated drivers, stood outside entrances to bars/taverns, urging patrons to celebrate responsibly. 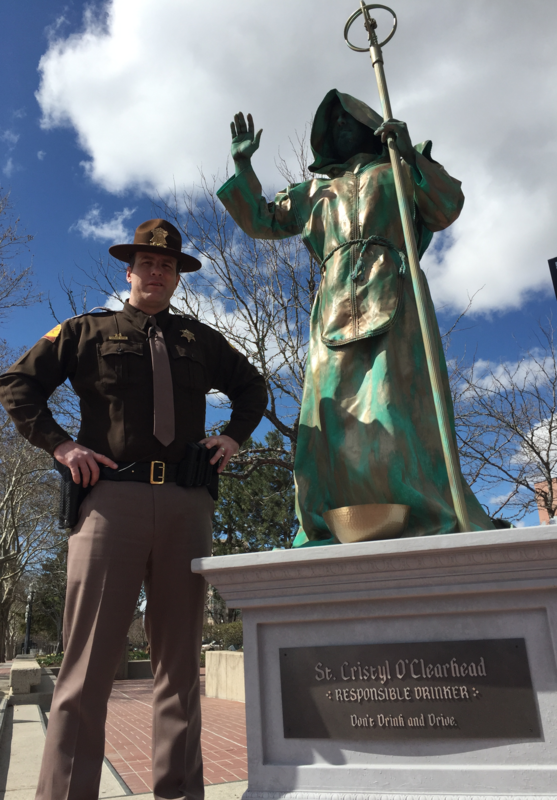 Those patrons who pledged to get home safely received a coin from law enforcement, and when deposited in the statue’s hat, activated an interactive performance by the living saint statue. 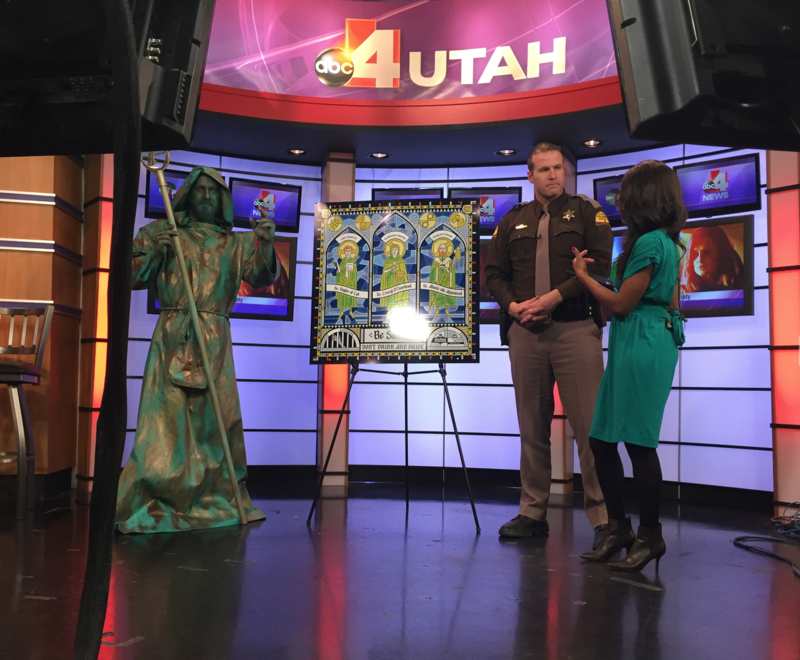 To assist in additional awareness, each bar also placed a stained glass display at their location to communicate the importance of sober driving on Utah’s roads. Yes, it’s another obvious observation, but it’s also the key to R&R’s drunk driving prevention success. If people get so drunk that they can’t remember their names, how can somebody expect them to remember a TV commercial they saw last week telling them not to drink and drive? Instead, R&R Partners’ push to advertise as close as possible to the point of decision—that moment between when people finish their last beer and pull out their car keys—is vital to immediate behavior change. By partnering with local businesses, placing timely messages at the point of consumption, and creating innovative and creative DUI prevention messages, R&R Partners created a new best-practice in social norms marketing. For a message that hasn’t been newsworthy in decades, that you shouldn’t drink and drive, that’s pretty good. In 2015, Coachella Valley Music and Arts Festival brought in more than $84 million and attendees tweeted about it over 30 million times in the first weekend alone. Each year, the festival tends to outdo itself and 2016 was no different. 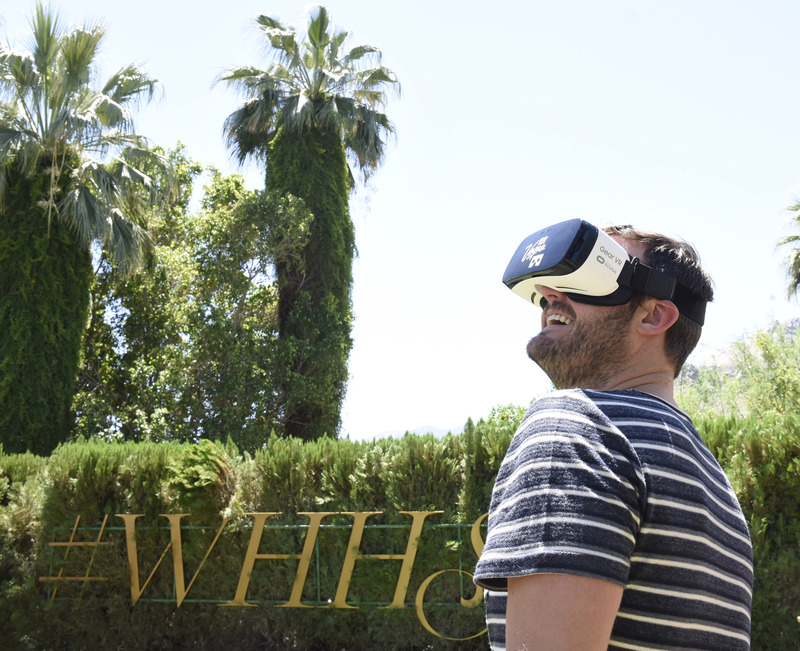 Guests soaked up the sun and pool time during the Las Vegas #WHHSH Pool Party at the Ingleside Inn in Palm Springs, Calif.
Coachella has morphed from a three-day Woodstock-like getaway to a weekend full of brands, marketing and messaging with the music taking a backseat. Brands flock each year to Palm Springs to throw the best pool party, sickest celeb-filled event and have the most sought-after guest list. Each year, most brands fall short, but others are able to capture a majority of the media and conversation surrounding the two-weekend festival. Celeb sightings, party recaps and gifting reviews occupy most of mainstream media for 10 days, with each brand hoping to get a mention, and only three to four making the cut. Kat Graham, star of The Vampire Diaries, visited the Las Vegas #WHHSH Pool Party on Saturday, April 16. She tried (and loved) #WHHSH beer, stopped by the Red Rock Resort braid bar, and caught up with pal, Joe Jonas. Las Vegas’ newest campaign, #WHHSH, geared toward a digital savvy, millennial audience was primed for the Coachella landscape and demographic. But how were we going to speak to the Coachella festival goer in a way that resonated and aligned? Oh, and make sure we’re among the three to four most talked about brands in our freshman year? Beer, of course. The #WHHSH campaign had been exploring product creation and distribution as a way to “bottle the essence” of the brand and take it on the road. #WHHSH Beer, already in progress, was the perfect conversation starter for the media and attendees. The event came together as a two-day resort takeover with beer leading the charge, but Vegas being represented in a number of ways. Property partners curated service cabanas necessary to Coachella survival; local restaurants curated festival-friendly menus; Las Vegas virtually came to life at the Vegas VR station; celebrity attendees graced the beer can step and repeat; and DJs and talent kept the party going in true Las Vegas fashion. Points guy Brian Kelly saved his travel points for the real deal and opted to test out some Vegas experiences with the Vegas VR app. The event not only created an engaging experiential opportunity for guests in multiple ways, but also secured solid numbers in earned media and social engagement. With over 4 million social impressions, 2,000 uses of #WHHSH on social platforms and 76 million media impressions worth $8.8 million, the #WHHSH Coachella event made the list of best Coachella events in its inaugural year. Our team was able to use #WHHSH Beer to start, extend upon and amplify the conversations around Las Vegas. 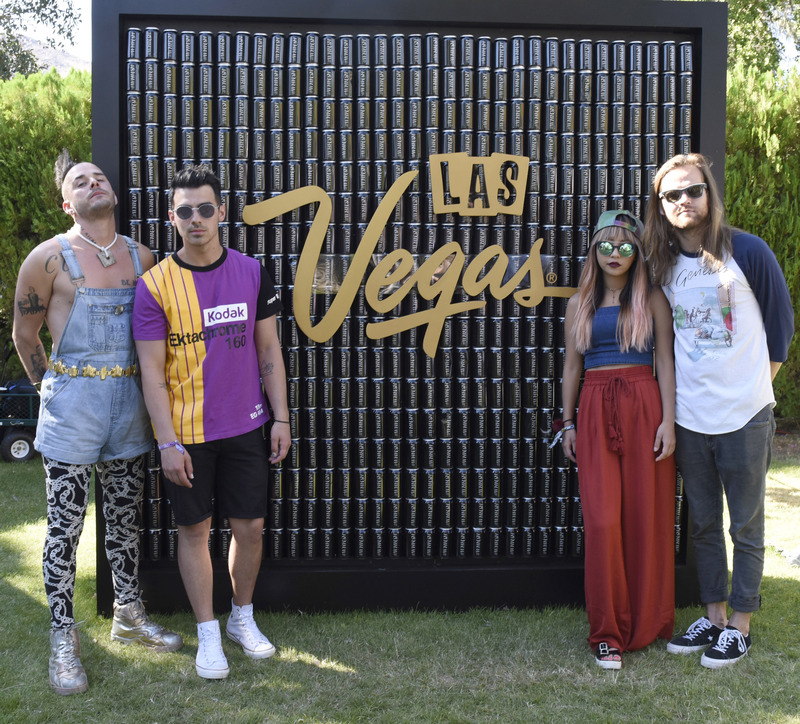 Chart-topping sensation DNCE and front man Joe Jonas closed out a wildly successful weekend with an exclusive DJ set for partygoers. Clever creative helped R&R position Arizona’s Citizens Clean Elections Commission as a nonpartisan, unbiased, official government agency that publishes neutral political information. Voters have enough to think about when deciding among candidates and ballot questions. The process shouldn’t make the task more daunting. In Arizona, the Citizens Clean Election Commission has tools and resources available for voters to help them prepare for elections. The question: How do we bring more awareness to the Commission? R&R Partners’ research uncovered that Arizona voters are completely overwhelmed by the process of finding trustworthy research they can use to formulate opinions about candidates. Bias, hidden agendas and negativity were all cited as common hurdles. The solution was to position Clean Elections as a nonpartisan, unbiased, official government agency that publishes neutral information about political processes and procedures, providing every voter with statements directly from the candidates. Creatively, we depicted several alternatives to using information from Clean Elections – we see voters resort to flipping a coin and using fortune-telling devices like a paper finger fortune and a Magic 8 Ball. Producing creative that is the complete opposite of the types of political ads that would typically be in market – entertaining, voter-centric, humorous, simple to understand, quiet, honest and free of bias – drove the point home with voters.